Understanding Market Research and Business. Housing and construction has been in the news a lot over the past few days. And this news has been positive. The news substantiates discussions I have been having with those I know in the construction industry, both residential and commercial, that construction is on the upswing. Now, I am not saying it is on the late 1990’s, early 2000’s upswing. But then again, look at what ended up happening. It’s been a while since I wrote a blog about the home building and residential real estate. It has been three months since I even mentioned the industry in this blog and over seven months since I talked about the economic conditions of the market, locally or nationally. Although it has been some time, I have not been ignoring the market. I have recently had discussion with those employed by builders, big and small, as well as a investor interested in a local large project. Also, over the past 10 days, I have seen a number of articles and news stories about the industry. So, I figured I let you all know about some of the news and provide an overview. All week long, there has been a number of stories on the evening news and in various newspapers about residential construction and real estate in the Triangle region. I feel like last weeks article from Inman News was a catalyst for all of this. But since the beginning of the month, there have been several other newsworthy events about real estate in the nation and the Triangle. Here is a list of them. Associated Press article stating that the CEOs of some of the biggest homebuilders feel the housing market has stabilized. Discussion and stories at this week’s International Builders’ Show in Orlando about most local markets improving in 2012. NBC-17 story about buyers flocking to buy homes in areas with retail nearby. Triangle Business Journal article about Mountain Real Estate Capital of Charlotte buying ownership of Brightleaf in Durham. Although not directly housing related, you need to include in the mix these stories. January’s national unemployment rate of 8.3%(left up to interpretation, see this article). So what does all this mean? Well, by crystal ball was recently cracked and the store I bought my last one is out of business (Shouldn’t they have seen that coming?). The real answer is “who knows” There seems to be a lot of optimism for 2012; not that there isn’t at the beginning of every other year. But the people I talk to have a good gut feel about the next 11 months. Obviously, we will not know until then, but the positive attitude certainly cannot hurt. So…What do you think this all means? –J. Nolfo helps companies understand their market and customers though a variety of market research strategies. He has over ten years of experience of market research for strategic planning purposes. He is the Director of Research at Rhino Market Research. He shares his thoughts about market research and business concepts with his blog “Pensare…Understanding Market Research in Business“. If you would like to discuss this blog or how J. can help you understand your market and customer needs, email him at jnolfo@rhinomarketresearch.com. Oops, we did it again! But in a good way! Again, Raleigh-Cary has topped a national list. This time it is from Inman News, a leading source of independent real estate news, information, advice, research, opinion and commentary for industry professionals and consumers alike. Inman looked at the Top 10 Real Estate Markets to Watch In 2012 (You can look at the full article and list here). The markets were evaluated on a number of key metrics, including above-average price appreciation, a flourishing job market, a high rate of sales in proportion to population, a high level of home affordability, low foreclosure activity, a below-average share of distressed sales, a low vacancy rate, and other characteristics indicating a healthy housing market. The Des Moines and Bloomington-Normal metros are on the list for the second year in a row. There were some changes in the methodology from last year by requiring a minimum metro population. 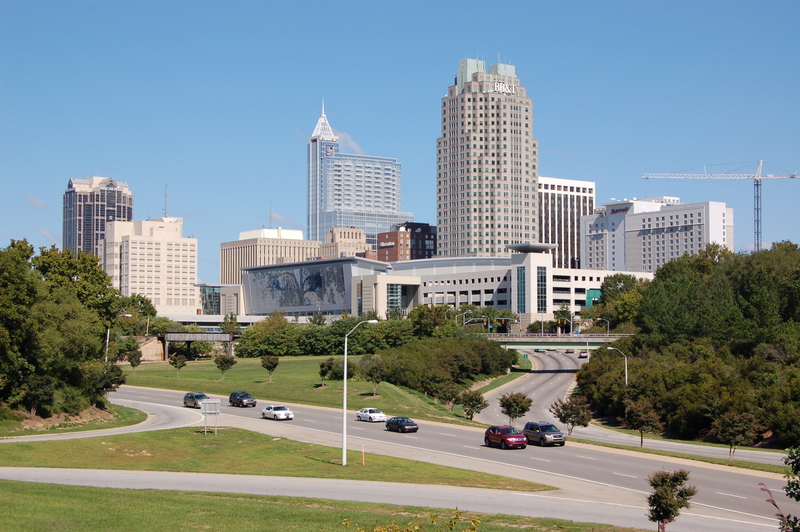 The Raleigh area is used to being at the top, or near the top of many national lists. This will continue to attract good employers and jobs to the area. We want to be here for these purposes. The beginning of the year tends to bring a lot of article about the upcoming year. As I posted last week, the articles are especially true for the housing market. Well, the USA Today did not want to be left out and included thoughts by JPMorgan Chase’s Jamie Dimon in this article. The article points to a number of good economic indicators including expected improvements in new and resales home sales and single family construction starts. Is A Housing Rebound Just Around the Corner? According to some experts, it is according to a Moneynews article printed by Newsmax.com recently. In the article, Barclays Capital analyst Stephen Kim is quoted in a recent note to investors stating that “[i]t has become increasingly apparent to us that the pieces for a housing rebound next year are beginning to fall into place”. In most markets, the bottom has been here for a while. Historically, housing rebounds have been a consistent rise from the bottom. A bottom that lasted a relatively short period of time. If you were to graph it, it would generally look like a “V” shape. However, nearly every market’s current bottom has been (and still continues to be) a very wide “U” shape. Regardless of what the national housing market does, real estate is local. Each market has its own unique attributes which allows it to lead, be with, or lag behind the national trends. Within each market, each submarket has its own nuances. Then, each builder needs to adjust based on the geographic areas and price/product ranges they are in. What are you seeing in your market? Do you think the market you are in will rebound in 2012? Last week the News & Observer had an article that discussed the increase in residential construction permits in the local municipalities of Apex and Holly Springs due to the I-540 extension that is currently nearing completion. You can read the full article here. Although this may be news to the general public, construction and development companies (both residential and commercial) have been looking at new and growing traffic corridors as they continue to explore areas for development. New interstates and highways are a critical component in this. Study after study has shown that people want easy accessibility as a determination to where they decide to live. Typically, housing developments, due to their shorter development timeframe, can be completed before the corridors are opened up. Because of this, the housing that is developed and sold before the corridor opens up is less expensive than a similar community opened up afterwards. To do this, modern technologies like GIS (Geographic Information System) programs has helped find key areas of development that get ahead of the interstate and thoroughfare growths to make their communities attractive to perspective buyers. Some larger developers and builders already use this technology. However, smaller ones can to by finding local sources that are already using GIS for other purposes and use them to leverage their knowledge and abilities.